People often wonder what makes opera different from other music. Some may also ask what the distinctions from musicals and operas are. The truth is that no matter what your take may be on either, music itself is the key element in both. After all, music is the universal language able to break through any barriers otherwise hampered by the linguistic process. 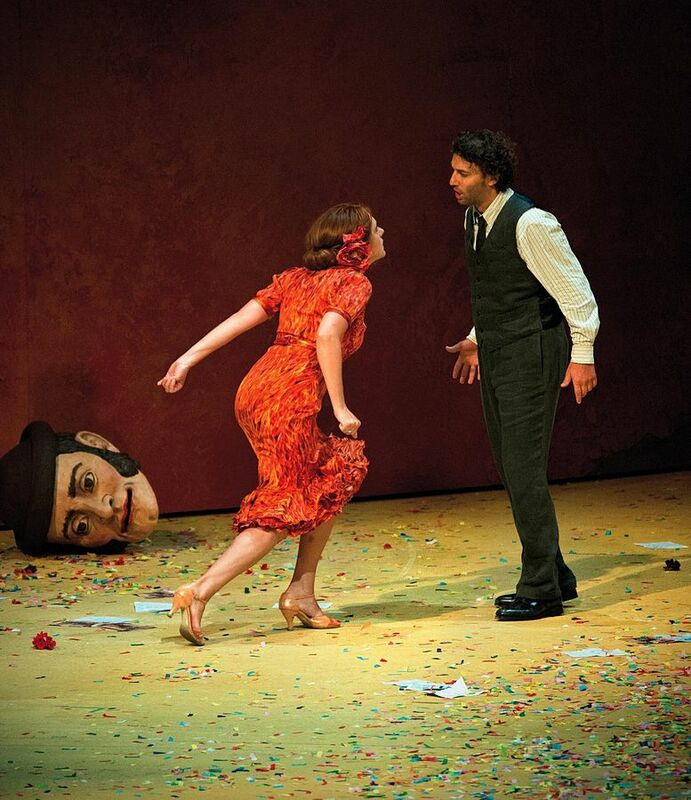 One of the things which helps make opera what it is, is the combined form of different arts it unites. Opera brings together singing, drama, dancing, plastic art and music. Once all of the concepts are united in some ways, the end results are usually performed in a theatrical setting. Although many people don’t always understand the words spoken – or sung – during an opera performance, it still does not stop most from going to see, listen to or enjoy them. Opera has always been viewed differently from musicals because of the language it is performed in. Since operas originated in Italy, they have been mostly always done in Italian. However, recently, some operas are now being done in the English language. Another reason – and perhaps the biggest one – that operas are viewed in such contrast to other forms of music, is due to the emotions involved in each performance. 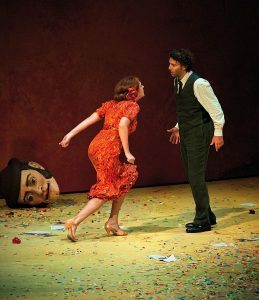 To a certain extent, operas can be compared to a drama movie or TV soap being performed live in front of an audience. The big difference is that most of all the dialogue is sung instead of being spoken out. Opera combines a musical score, libretto (text), musicians and singers to perform it in front of their audience. If you enjoyed this article, you may also want to read What Is Music Without Words Called? The elements of emotions, costumes, scenery, acting and sometimes dancing, is one of the things that distinguishes an opera from other forms of regular music. However, there are also many others as well. For one, opera singers must keep and maintain different volumes in their voices. There are also differences in their voice texture, voice projection and vocal techniques. The distinctions in sound alone from an opera singer compared to others are dramatically different. Artists that sing music with vocals tend to have a microphone as they sing each song. Most opera performers do not since they have to rely on their natural, often times, deep voices. One of the things which makes music so popular and widely loved is the ability it has to connect with everyone. Whether it’s for dancing, relaxing or to soothe our emotions, each genre of music can touch all of us differently. Love songs are so popular because they connect to our emotions in several forms. Whatever one may be feeling at the time, there is a love song for them to help deal with those emotions. Do you love operas or another type of music? Then find out What Does The Music You Listen To Say About You? Operas tend to do the same for those that enjoy them. Many describe operas as music that reaches and touches your soul. With each song – combined with a powerful performance – listeners can lose themselves in the song altogether. Musicals will have characters who will occasionally burst into a song during the performance. In the majority of operas, the singing is continuous. Even simple instructions of only a few words are sung as opposed to spoken. Although there are numerous types of music out there, nothing compares to an opera. The dramatic climax in each sentence being belted out can be felt tremendously. That in itself, is what makes opera different from other music or musicals. It is said that those that experience an opera performance once, either love it forever, or never like it all. But if they do love it, it will touch and change them for the rest of their lives.